Plugins are a piece of computer software that can be used to support other software in existence in other to make some programs work the appropriate way. Like we find in the theory of evolution, the WordPress plugins evolves continually. Below is the list of the types of WordPress plugins, their features and functionalities. 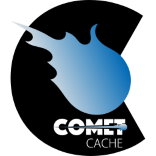 Comet Cache is a free easy- to- use cache solution which was originally the childbirth of s2Member. It was originally christened ZenCache. Using this plugins, you will have an uninterrupted control over how various areas of your site are cached. As opposed the Comet Cache price-wise, the WP Rocket is $39 plus as at this year 2017. For one website, WP rocket is $39, for three it is $99 and for unlimited number of websites, it is $199 only. The gem of this plugin is that you simply launch the plugin. Once this is done it immediately improves the time it takes your website to load. However, if you are a technical user and you want to have your default setting changed, there are advanced options available for you. It also has other features like: page caching, cache preloading, Gzip compression, browser caching, lazy loading of images, CDN support, import and export functionality and several other features you would love to explore. The SEO Framework plugin is a free one that gives you everything you yearn for as regards Search Engine Optimisation (SEO). It will automatically generate titles, descriptions, as well as URLs. It also has built- in site map functionality. The SEO Framework Plugin displays what could constitute a favourite feature to you as it does to others. This is the SEO bar it displays next to posts then pages. This bar helps you to easily sight the SEO status of an article at a glimpse. Though there are a number of more visually alluring Contact Form solutions than Contact Form 7, for some specific reasons, this plugin becomes the choice of many bloggers installing it on millions of WordPress sites. Among other reasons, Contact Form 7 is simple and easy to use. Novice users can even set up a Contact Form and have it published on their websites in the space of a month, using contact form7. Available online, Contact Form 7 is one of the WordPress plugins you can extend to a large extent. Hundreds of free and premium plugins are available for contact form 7. They help to help to do many changes to the plugin as well as transfer it.